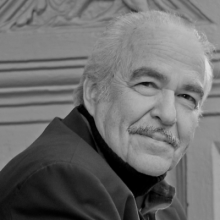 Join us on Sunday, April 7 at 2:00 p.m. for The Art & Artifice of Audiobook Narration with three-time Audie Award Winner, George Guidall. His recordings have been delighting listeners for over 20 years and the New York Times called him the “undisputed king of audiobooks.” The event is free but registration is required. Click here to RSVP. If you’re new to borrowing digital audiobooks, arrive early, any time after 1:00 p.m., and Library staff will get you set up. It’s easy – all you need is your device and library card number, or visit our website for instructions.